Patient-centered medical and dental healthcare. Hometown Health Centers is one of the region’s top rated medical and dental facilities. With offices at 1044 State Street in Schenectady and 67 Division Street in Amsterdam, Hometown Health Centers is nationally recognized for providing high quality, cost-effective primary health care to all in need, with particular concern for low income residents. Hometown Health is an FTCA (Federal Tort Claims Act) deemed health center. As the primary care provider of choice for more than 17,000 patients, we offer primary and preventive health care to children and families, behavioral health, on-site pharmacy and lab services, as well as comprehensive dental care. Hometown Health Centers sometimes requires the services of carefully screened vendors and consultants. They are selected through a competitive bidding process to provide needed quality products and services at a fair price. In working with Hometown, vendors and consultants cannot be listed on any government Exclusion List. In addition, each vendor and consultant must be committed to the highest ethical standards. This includes abiding by Hometown’s Compliance Program. To view a copy of Hometown’s Compliance Manual click here. For more than 40 years, Hometown Health Centers (HHC) has proudly been the primary care provider of choice for more than 17,000 local children and families. Today we have two locations in Schenectady and Amsterdam. Hometown Health had humble beginnings. It was the vision of Hendrik Rozendaal, M.D., a local physician who in 1970 began volunteering his services in the community. Dr. Rozendaal would provide basic primary healthcare services out of a single room at the Carver Community Center. For many local residents, this was their only opportunity to receive medical care. On December 11, 1972, the practice was granted an operating certificate by the NYS Department of Health and formally named Carver Community Health Center. 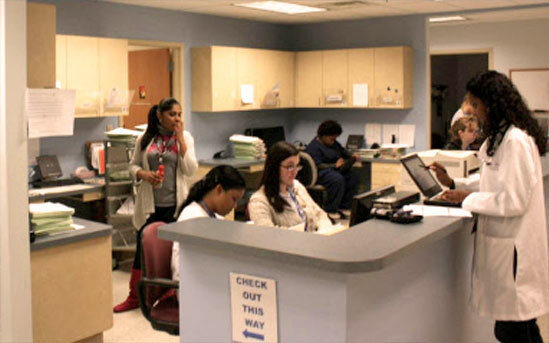 As word spread about the availability of affordable, quality healthcare in Schenectady, the center experienced significant increases in its patient population. Providing care for the uninsured and underserved proved to be quite a challenge through the years, but with dedication and determination, in 1979 the health center was awarded its first Federal Urban Health Initiative Grant which allowed Carver to provide more care to the community. Our commitment continued as demand for health access increased, and on April 2, 1985, Carver Community Health Center was issued a certificate of incorporation. Soon after a new building was purchased, and in January 1986 Carver officially opened its new healthcare site in the former Horace Mann School at 602-608 Craig Street. Five years later its name was changed to Schenectady Family Health Services to better reflect the health center’s expanded mission and services. We quickly became the primary care safety net provider for thousands of local residents. As management and staff prepared to move into a new modern health center, the organization re-branded itself with a new name, Hometown Health Centers (HHC), which continues our original mission to provide care for the medically underserved. In December 2005 HHC opened its doors to the community at its current location, 1044 State Street in Schenectady. Since then HHC has provided high quality healthcare and comprehensive dental services to children and families all over the Capital Region. In March 2015 Hometown Health Centers launched a new 5,000 square foot primary care building at 67 Division Street in Amsterdam. The facility, conveniently located and close to public housing, offers primary and preventative care for children and families. This office has signed a services agreement with St. Mary’s Healthcare at Amsterdam to refer obstetrics patients to the hospital. Further collaborative services such as diagnostic laboratory, x-ray, cancer screening, behavioral health services and occupational health may be added in the future. Our Amsterdam facility has bilingual support staff to effectively communicate with the area’s large Hispanic community. HHC, the only not-for-profit, federally qualified health center (FQHC) in Schenectady County, has set a standard for quality healthcare in the community. HHC is a “FTCA Deemed” facility, which means it is protected by the Federal Tort Claims Act and is insured by the federal government.